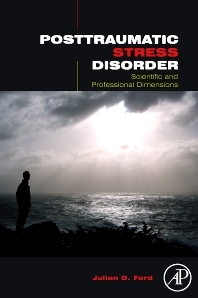 This authored text-reference will be the first comprehensive text in the rapidly growing field of psychological trauma and posttraumatic stress disorder. According to the NIMH, approximately 5.2 million American adults already suffer from post traumatic stress disorder. Caused by everything from combat experience to violent personal assaults to natural disasters and accidents, the incidence of PTSD has already reached epidemic proportions. The profound impact of psychological trauma and the need for proactive and scientifically-based approaches to timely prevention and evidence based treatment is unarguable and mental health programs are seeing a significant rise in the number of PTSD courses offered and services required. As a result, scholars, researchers, educators, clinicians, and trainees in the health care and human and social services need a concise and comprehensive source of authoritative information on psychological trauma and posttraumatic stress. This volume will offer a foundational understanding of the field as well cover key controversies, the influence of culture and gender, and describe state-of-the-art research and clinical methodologies in down-to-earth terms. Clinical case studies will be used liberally. Primary Graduate students in Clinical Psychology, Counseling Psychology and Social Work programs taking courses on Trauma, PTSD or Anxiety Disorders, Psychiatry residents taking PTSD didactics, Libraries, and Cliniccal Academic Researchers. Secondary Practicing clinicians treating patients with PTSD.